A lot of e-smokers probably begin with small, mainstream e-cigarette kits available from one of the “big name” vendors. If you begin to branch out and look at large-battery hardware such as the eGo e-cigarette and e-cigarette mods, though, you’ll often see the term “resistance” applied to atomizers and cartomizers. So, what are low-resistance and high-resistance atomizers and cartomizers, which is safe to use with your e-cigarette, and which is the best? If you’re going to experiment with e-cigarette hardware, it would be wise for you to have a basic understanding of the electrical terms volts, ohms and watts. The term volts measures the flow rate of the power coming from your e-cigarette battery or mod. The resistance of the atomizer or cartomizer attached to the e-cigarette — measured in ohms — indicates how much of the power flow is being restricted. A low-resistance atomizer at around 1.5 ohms restricts the power flow less than a high-resistance atomizer at about 3.0 ohms. Watts is the actual power delivered by the combination of voltage and resistance. You can arrive at this figure using the formula volts^2/resistance. Alternatively, use an Ohm’s Law Calculator. Either way, know that the watts produced by your e-cigarette essentially measure its vapor production. At higher wattage levels, an e-cigarette generates more vapor. The vapor also becomes hotter and more flavorful, but only to a point. Above 12 watts or so, your atomizer or cartomizer will vaporize e-liquid faster than more e-liquid can be fed to the heating coil. At this point, you’ll start to experience the harsh, burned flavors that result from a coil being run dry. The resistance of most e-cigarette atomizers and cartomizers is somewhere in the neighborhood of 2.5 ohms, although any attachment can deviate from its rated resistance by 0.1 ohms or so. Assuming your e-cigarette battery or mod is 3.7 volts — as most are — your e-cigarette produces just under 5.5 watts of power with a standard-resistance attachment — and that’s if the battery still has close to a full charge. The voltage of a battery decreases as its charge is depleted. Since I originally published this article, e-cigarette users have changed greatly in terms of the attachments they prefer. Gone, for the most part, are the pre-built dripping atomizers and polyfill cartomizers of old. Instead of those attachments, many people are now using rebuildable atomizers and sub-ohm tanks. A sub-ohm atomizer or tank has a coil with a resistance under 1.0 ohms. A sub-ohm coil heats up very quickly and generates the most possible vapor per puff — but there are some trade-offs. If you use a 0.5-ohm coil at 4 volts, for example, you’re generating 32 watts of power with a current of 8 amps. A load that high will trip the over-current protection on most older e-cigarette mods, and it would be entirely unsafe with a mechanical mod if the battery couldn’t handle the load. Read my article about e-cigarette battery safety to learn more about this. An additional downside to sub-ohm atomizers is the fact that they go through e-liquid very quickly. Many people who use sub-ohm devices prefer e-liquid with a strength around 3 mg, and some people use up to 30 ml of e-liquid each day. If you have a taste for more expensive premium e-liquids, the cost of sub-ohm vaping can add up quickly. My list of the best e-cigarettes of 2016 includes several sub-ohm devices. A low-resistance atomizer — usually rated at 1.5 ohms — is designed to restrict the flow of electrical current less than a standard-resistance atomizer, generating a higher power in watts — or better vapor production — on a standard 3.7-volt e-cigarette. Although more vapor is almost always a good thing, there are some trade-offs. This combination generates a current of about 2.46 amps, which is a bit high for e-cigarette attachments and for small batteries. You shouldn’t use a low-resistance attachment on anything smaller than an eGo e-cigarette for this reason; smaller batteries will simply overload and stop working, possibly after just a few days. If you’d like to experiment with low-resistance attachments, try a vaporizer from a company such as VaporFi. VaporFi’s devices include batteries that can handle a wide variety of different attachments — some up to 35 amps. So, what do you get when you switch to a low-resistance atomizer or cartomizer? With a 3.7-volt device, a low-resistance attachment will bring your vapor production from 5.47 to 9.12 watts, which is roughly a two-thirds increase. Many intermediate and long-term e-smokers consider around 9 watts to be the “sweet spot” for vapor production, warmness, flavor and mouth feel. I wouldn’t recommend going any higher than that unless you’ve tried a 3.7-volt device with a low-resistance atomizer and still want more. 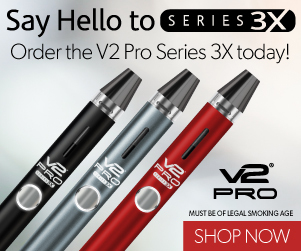 What if you’ve reached the limit of what a 3.7-volt device can deliver and you still want more vapor? E-cigarette manufacturers are now making devices that can go all the way up to six volts. Of these, the device with the best combination of high performance and low cost is probably the VaporFi Rocket, which costs $79.19 with the coupon code embedded in my link. Although a serious e-smoking fanatic might be tempted to connect a low-resistance atomizer to a device like the Lavatube and crank it up to six volts, that’s actually not possible because the combination would result in a current of 4 amps, which could lead to battery or heating coil damage very quickly. Instead, the ideal attachment for a high-voltage device is a high-resistance atomizer or cartomizer, which restricts the current a bit. A high-resistance atomizer — sometimes incorrectly called a “high-voltage atomizer” — has a rating of 3.0 ohms or higher. At six volts, a 3.0 ohm attachment will achieve 12 watts of vapor production at a very manageable 2 amps.